Peter and Paul Snowden believe they have a couple of horses of the future after a head separated quality two year-old colts Assimilate (Sebring )and Dracarys (Snitzel) in the open juvenile event at Randwick on Saturday. 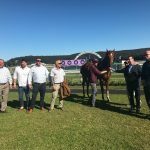 A winner on debut at Kembla at the start of the month Assimilate held a narrow margin over his stablemate Dracarys, who was resuming from a spell. “It was a really good effort,” Paul Snowden said, who trains in partnership with his father Peter. “We sent him to Kembla on purpose the other week, he’s just very new in himself – he’s very raw. Snowden indicated both colts appear to have bright futures ahead. “Hopefully they will go all the way,” Snowden said. “They keep improving, no doubt Dracarys fits that criteria as does Assimilate. The rider of Assimilate, Tye Angland echoed the thoughts of Snowden. “I would actually like to see him up over 1400m because both starts they have had him off the bit pretty much the whole race,” Angland said. Asked which of the pair had the most potential, Snowden found it hard to separate the colts. 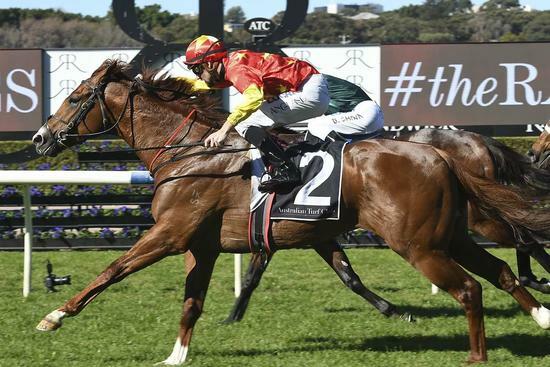 A $420,000 Inglis Easter purchase from the Edinburgh Park draft for China Horse Club/Winstar, Assimilate runs for a syndicate that also includes Newgate Farm, Aquis Farm and Horse Ventures. He is the second winner for stakes-winning Commands mare Jester’s Girl, whose Zoustar yearling filly sold for Edinburgh Park at Magic Millions this year for $260,000 to Paul Moroney Bloodstock. 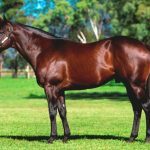 Sebring later made it a winning double when three year-old gelding Argent D’Or won for the Joe Pride stable over 1200 metres in the Proven Thoroughbreds colours.